Señor Guillermo Gómez Rivera, multilingual author, historian, poet, educator, Spanish dance choreographer, and linguistic scholar, made a guest appearance yesterday in Inquirer 990 Television’s “Everyday Goodwill” hosted by María Teresa Cancio (owner of Goodwill Bookstore) and journalist Ricky Brozas where he discussed the language problem in Filipinas. He also peppered the discussion with tidbits about the real score behind our country’s history under Spain. Click on the screengrab below to watch the interview. Inquirer 990 Television is a free-to-air television news channel owned by Trans-Radio Broadcasting Corporation, a subsidiary of the Philippine Daily Inquirer. It is the television counterpart of DZIQ 990. ¡Hoy es un día maravilloso! Por fin, la página web Sociedad Hispano-Filipina ha sido lanzada el día de hoy por el joven hispanista Jemuel Pilápil. Jemuel ha estado trabajando en esta página web durante los últimos meses. El lanzamiento de hoy es sólo un lanzamiento suave ya que hay varias pestañas y enlaces/secciones que necesitan ser desarrollados. Pero hace semanas le sugerí que la lanzara justo a tiempo para el Día de la Hispanidad de este año. Y para este lanzamiento suave de hoy también contribuí con un artículo sobre la que se puede leer aquí. Divulgar, difundir, promover, y mantener lo vivo el idioma español. Animar a los filipinos que aprendan español. Crear oportunidades para practicar y disfrutar el idioma como por ejemplo viajes, reuniones, lecturas, deportes, conferencias, o cualquier actividad interesante. Celebrar la existencia de la cultura hispana en Filipinas. Vincular a todos los grupos hispanohablantes. Debe recordarse que hace muchos años, tres compañeros míos (Señores Guillermo Gómez Rivera, Arnaldo Arnáiz, y José Miguel García) y yo planeamos lanzar una página web similar (pero con una gama mucho más amplia de alcance que incluye una “propaganda” para contrarrestar la leyenda negra) pero nada se materializó. Carecíamos de fondos, tiempo y los conocimientos técnicos tan necesarios. Es por eso que estoy muy feliz de que Jemuel la haya hecho por nosotros. Sin duda, Jemuel Pilápil es el “Isagani de El Filibusterismo hecho carne”. Con su Sociedad Hispano-Filipina, el idioma español tiene un futuro muy promisorio en Filipinas. Enrique Zóbel, el renombrado filántropo, fundador del Premio Zóbel, y miembro del famoso Clan Zóbel de Ayala, dijo una vez esta memorable frase: “No quiero que el español muera en Filipinas”. Con la apariencia de la Sociedad Hispano-Filipina en el ciberespacio, la tecnología más utilizada hoy en día, tal muerte nunca sucederá, y más especialmente, siempre y cuando que tengamos la Madre de la Hispanidad como nuestra guía y patrona. Nuestra Señora del Pilar es la Madre de la Hispanidad. Esta es su imagen en la Catedral de Imus en la Provincia de Cavite. ¡Feliz Día de la Hispanidad! ¡Viva la Virgen del Pilar! ¡Felicitaciones a la Sociedad Hispano-Filipina! ¡Celebremos esta victoria con cervezas y rosarios! Having been founded in 1922, the Premio Zóbel is considered as the country’s oldest literary award open to all Filipino writers in the Spanish language. Among those who had won the prestigious prize were poet Manuel Bernabé (1924), diplomat León Mª Guerrero III (1963), and renaissance man Guillermo Gómez Rivera (1975). But in the late 1960s to the early 1970s, it was put to a halt because the number of participants dwindled. In 1974, the Zóbel de Ayala clan changed the rules of the contest so that anyone in Filipinas who promoted the preservation of the Spanish language could become an awardee. Nineteen years later, in 1993, Senator Blas Ople, a non-Spanish speaker, became a consequence of that 1974 decision. 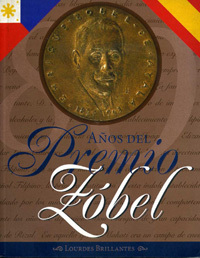 “80 Años del Premio Zóbel”, a compendium of Premio Zóbel’s history, was published in 2000. The book’s author, Lourdes Castrillo Brillantes, was herself an awardee in 1998. This is not to say that the choosing of the then neophyte senator was nothing short of a scandalous matter among Filipino writers in the Spanish language. He received the award “por sus relevantes méritos en pro de la cultura hispano-filipina” (for his relevant merits in favor of the Spanish language). One such merit was the following essay that he wrote in his column “Windows” which used to appear in Panorama magazine (a supplement of Manila Bulletin’s Sunday issue). The essay was published on 30 August 1992, a year before he was awarded a Premio Zóbel medal. Having sat down from the rigors of an obligatory speech on current issues, I thought I would sip my coffee in peace, mentally braced for an evening of pleasant boredom. This was Iloílo City, and the Lions clubs from all over Panay and some from Negros Occidental had filled the vast hall of the Hotel del Río by the river, for the 42nd anniversary of the Iloílo City Host Lions Club. Then magically, the grace and charm of our Spanish past rose before our eyes. Dancers in full Spanish costumes, platoon-size formations, materialized on the floor. They called on a vast repertory, not just one, two, or three, but many numbers, turning an otherwise banal dinner into a bewitching hour redolent of history. It was only in Iloílo, I thought, that simple housewives, many of them now grandmothers, could be formed into flamenco dancers of such charm, on demand (I was told later they rehearsed for a month for this show). I gathered that Iloílo and nearby Bacólod are just about the last places where sizable remnants of an elderly Spanish-speaking generation may be found, though this, too, is slowly fading away. But the rhythms of Spain will probably long outlive the Castilian speech in these parts, judging from the authentic passion of those movements we watched that night. Compared with these, the rigodón de honor danced by the elite in Tagálog cities and towns has to be judged a pale initiation. Few Filipinos are of course shedding a tear on the waning of our Spanish past, except as this has been subsumed in native speech and customs. The memories of those early centuries still rankle. This is the revenge of Rizal and del Pilar, whose works have molded, through generations, our impressions of the era of Spain in the Philippines. But when recently, all the countries of the Iberian world met in México, as though eager to repossess their common heritage from their Spanish past, I felt a certain pain to realize that the Philippines alone was not present, for the reason that we have disinvited ourselves. I should reveal this now. In the Constitutional Commission of 1986, I fought until the end to have Spanish retained in the new Constitution as an official language, together with Filipino and English. I wanted at least an explicit recognition of Spanish as such a language until the wealth of historical material in our archives, most of this in Spanish, can be fully translated into English or Filipino. But the real reason was that I wanted to preserve our last formal links with the Iberian world, which includes most of the countries in Latin Américas with a population of about 400 million. I remember Claro M. Recto’s sentimental journey to Spain, which was aborted by a heart attack in Rome. If we lost that final strand of solidarity with the Spanish-speaking world, we, too, would never get to Spain. It was as though both sides had agreed on a policy of mutual forgetfulness. The “radicals” in the Con-Com strongly advised me not to press the provision on Spanish, because this would have the effect of reopening other controversial issues in the draft charter. It could delay the framing of the Constitution beyond an acceptable deadline. My worst fears have been realized. We have expelled ourselves from the Iberian community of nations. The rift is final, and will never be healed. But I felt the charms of our Spanish past will linger longest in places like Iloílo, and during that enchanted evening, I was glad for the opportunity to savor them. We may have left the Iberian world of our free choice, but the hold of Spain will never really cease in the Filipino heart. To those who are unfamiliar with the issue, it was former President Corazón Aquino’s Constitutional Commission of 1986 (the one mentioned by Senator Ople in his column) that decided the fate of the Spanish language in Filipinas. It should be remembered that Spanish had been our country’s official language beginning 24 June 1571. It may had been unceremoniously booted out from the 1973 Constitution by pro-Tagálog politicians during the 1971 Philippine Constitutional Convention under Ferdinand Marcos’s presidency, but the former strongman, realizing its worth, issued Presidential Decree No. 155 two months after the 1973 Constitution was ratified. Believe it or not, this forgotten Marcos decree recognized Spanish (alongside the English language) as one of Filipinas’s official languages. It thus absolves his 1973 Constitution of any culpability when one wishes to point an accusing finger at the “killer” of the Spanish language in our country. All index fingers will of course lead to the present constitution, the progenitor of the Constitutional Commission of 1986. No wonder Ople was devastated: he was its member, he fought for the Spanish language’s preservation in the present constitution, yet he was blocked by those radicals from doing so (they were probably those whom Hispanistas and non-Tagálogs today derisively call as “Tagalistas“). That is why, out of disillusionment (or anger? ), he wrote that painful statement that we Filipinos have expelled ourselves from the Spanish-speaking community of nations. The concept of Filipino began not with pre-Hispanic indios but with Spain. Individuals known as Filipinos cannot be traced beyond 1521 when Magellan sailed into the Philippine archipelago. Filipino was mainly a geographic term to begin with, and the notion of Filipinas, a place, a nation, cannot be pushed beyond the first Spanish settlement established by Miguel López de Legazpi in 1565. I could go on and on, but the point is clear: the rift done by Tita Cory’s flawed constitution is not final. Ople’s fight for the Spanish language’s rightful place in the Filipino cosmos didn’t go for naught. We are healing! Posted in Cervantismos y Quijoterías, Ensayo, Idioma Español Como Lengua Filipina, Iloílo, Literatura Filipina, Provincia de Iloílo	| Tagged Ambeth Ocampo, Blas Ople, Claro M. Recto, Defensores de la Lengua Española en Filipinas, Guillermo Gómez Rivera, Iloílo City Host Lions Club, Jemuel Pilápil, León Mª Guerrero III, Manuel Bernabé, Oficialización del Español en Filipinas, Premio Zóbel, rigodón de honor, Sociedad Hispano-Filipina, SPANISH language should be back in the PHILIPPINES! This newspaper clipping was published on 16 May 1992. It appeared in the now defunct Newsday and was written by Jorge Seurat (pen name of priest-poet Fr. Gilbert Luis R. Centina III). The column explains the least-known friendship as well as the converse similarity between writers Guillermo Gómez (whose birthday falls today) and National Artist for Literature Nick Joaquín. The great Nick Joaquín, proclaimed “National Artist” during the glorious years of Ferdinand Marcos, has turned seventy-five. Three-fourths of a century. And as he ages into immortality and mythology, the English language appears to be on the way out in the Philippines. Overpopulation, lack of funds, and diploma mills are seeing to that. 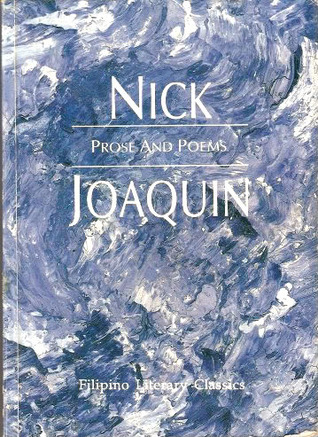 Nick Joaquín,s merit according to his ardent follower, Don Guillermo Gómez Rivera, is his having been able to pour into English a good part of the essential message of what has been Filipino since 1571. No other writer in English has done this. Gómez Rivera, a generation or two younger than Nick Joaquín, is the Nick Joaquín of contemporary Filipino literature in Spanish. Were Gómez Rivera to write in English as he does in Spanish, he would sound almost, if not exactly, like Nick Joaquín. If Nick Joaquín is a continuation of Claro M. Recto, who wrote in Spanish in local English letters, Gómez Rivera is the continuation of Nick Joaquín back in the same language of Rizal and Recto. This is so because both Nick Joaquín and Guillermo Gómez Rivera actually belong to the same Filipino tradition even if they don’t write in the same language. Of course, if Nick Joaquín were to write in Spanish, he would in turn sound almost, if not exactly, like Guillermo Gómez Rivera. Don Lorenzo Marasigan’s portrait for his two daughters, Cándida and Paula, has become alive, both artistically and literally. The young man, Anchise, is Guillermo Gómez Rivera, and the old man is Nick Joaquín, and the burning city that both are leaving behind is our country, ravaged and ruined in almost every sense of the word by this despicable galungóng-brained “democracy” that would condemn our people with the Bataán Nuclear Plant. And, possibly, vacuum of power after frustrating so brazenly the national elections without our people really knowing about it until after a few months, or years, later. And Guillermo Gómez Rivera wrote a poem in homage of Nick Joaquín after the latter had dedicated to him a copy of his play, Portrait, in book form, saying in Spanish, “A Guillermo Gómez Rivera, el nuevo Colón de la música filipina…” this was so, because Gómez Rivera, after recording his third long-playing of Filipino songs, in their original Spanish versions, asked Nick Joaquín to listen to them. Nick Joaquín obliged and enjoyed listening to Gómez Rivera’s singing of “El collar de Sampaguita” with Bert Buena’s rondalla. He went to Gómez Rivera’s office library, that of Solidaridad Filipino-Hispana, Inc., at the third floor of the Citadel Bldg. on Bonifacio Street, way back in 1969. Since then, Gómez Rivera has held Nick Joaquín in utmost reverence and, as a member of the Academia Filipina, he has suggested to the Fundación del Premio Zóbel, to adjudicate, one of these years, the said prize to Nick Joaquín. Pues, el candor y el arte. / La sapiencia de toda una cultura: / —la cultura que es la de Filipinas— es la ciencia; / es la gloria; / es toda la emvoltura / de este gran hombre prismático — trazluz / del madero / que alzamos hoy en cruz. Ese es / Don Nicolás Joaquín, / flamante / fragua de este país / de sordociegos, / tabla de salvación / del ignorante / que perdió sus estribos / y sus pliegos. (“That man is / Nick Joaquín, / the burning torch, / over this country of deaf-mutes… / He is the phalanx / of redemption / for those that ignore / what is truly Filpino / because they have lost / their documents / and the running board / upon which they could have stood.”). First published in FILIPINO eSCRIBBLES, with slight edits.